Weight Loss: 5 Best Low-Calorie, Protein-Rich Egg Recipes To Try! Weight loss: One of the best foods that you can add to your weight loss diet, in order to load up on protein is chicken egg. 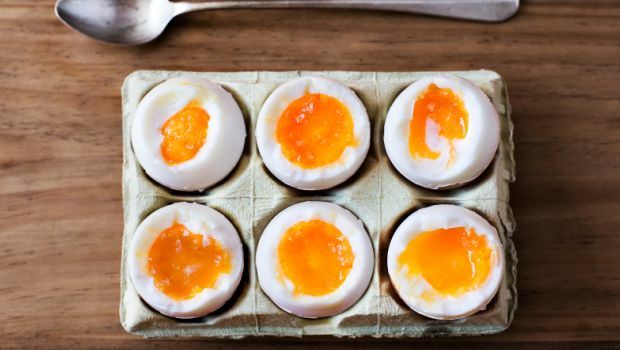 Here are five delicious low-calorie egg recipes to try! With the start of the New Year, healthy diet and fitness is usually on everybody's mind. The 'New Year, new me' trope is popular around this time of the year, but it should be so, all year round. But if you were one of those who abandoned their weight loss and fitness goals in the middle of last year, then now is the time for you to jump on the healthy lifestyle bandwagon again. It's never too late to start living a healthy life and that should be your mantra for 2019, if you really want to be better this year. One of the most crucial changes that you will need to make, in order to shed that extra weight is to fix your diet and start consuming more protein. This is because protein is one of the best, most essential macro-nutrient for weight loss. Protein helps in promoting satiety, which means that if you consume more protein, you tend to stay full for longer and hence, stay away from potentially fattening snacks and unhealthy foods. Moreover, protein helps in building muscle mass, which is important if you are gyming and lifting weights. It has been known to promote fat loss and retain lean tissue. One of the best foods that you can add to your weight loss diet, in order to load up on protein is chicken egg. Whether you eat white or brown eggs, one large-sized chicken egg (50 gm) contains 6 gm of protein (as per data by United States Department of Agriculture). There are a number of ways of cooking eggs and one of the best ways to cook eggs, in order to maximize weight loss is to let the yolk be runny. Scrambled eggs is one of the easiest low-calorie way of cooking and eating eggs. This recipe offers a step-by-step guide to making scrambled eggs to perfection. This Indian version of scrambled eggs is delicious and nutritious. Add more vegetables to the recipe to make it more filling and weight loss-friendly. Who doesn't love a well-made omelette? Throw in some more lean proteins from chicken and you have a winner of a breakfast dish that can help you stay full and slim down. This dish is nothing like the fattening, pigs in a blanket. It is rather a great way of sprucing up your plain breakfast toast by adding a cooked egg to it. It looks great, tastes even better and is surprisingly easy to make! Beans are great for weight loss- low in sodium and containing almost negligent saturated fat and cholesterol. Beans are one of the best foods to add to your egg dish and this recipe is a winner when it comes to helping you lose weight. With a treasure trove of essential nutrients, vitamins and minerals, eggs are a complete food and can be consumed alone or added to a variety of dishes. When it comes to experimenting with eggs in a healthy diet, the sky is the limit!